First Fire in Tall Rumford (movie). 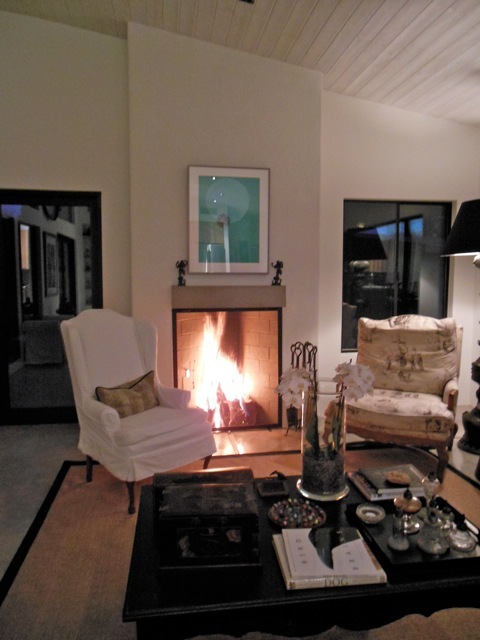 "A tall Rumford is just a narrow big fireplace rather than a tall small fireplace." Click on pictures for more detail. 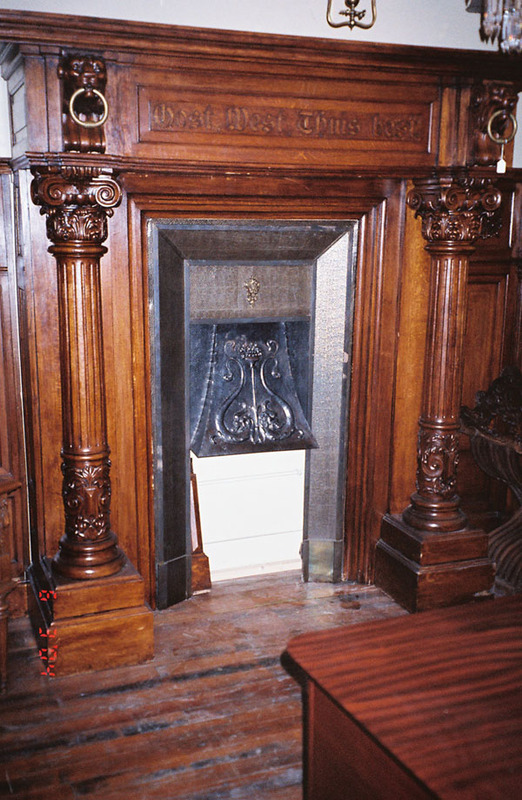 We used to worry about making fireplaces with extremely tall openings work. Our Rumfords are designed to have square openings - as tall as they are wide. But then we reasoned that we have no trouble making a 60" wide fireplace work even if it's 60" tall. 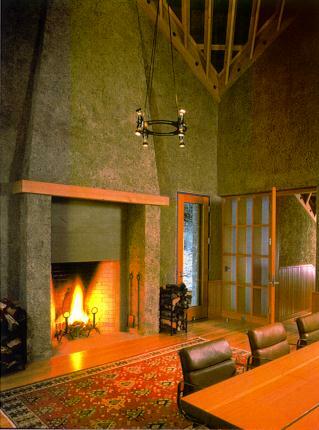 Why should we worry about a 48" wide fireplace that's 60" tall? 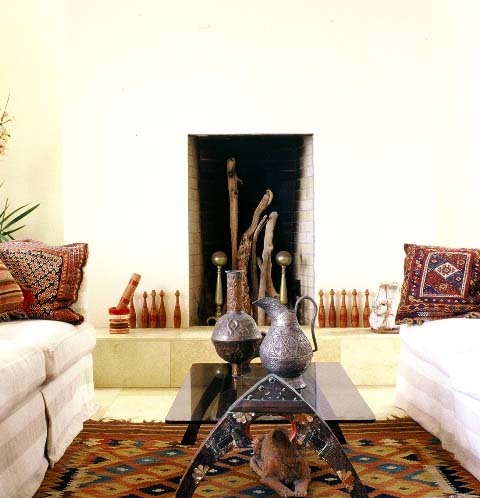 Just think of it as a narrow big fireplace rather than a tall small fireplace. What that means, of course, is that we size the throat and flue bigger as we would for the 60" Rumford. Build the fireplace according to the plan at www.rumford.com/R6054plan.gif - 20" deep, with the 42" Vestal damper and 20"x20" flue - only build the firebox 48" wide instead of 60" wide. One customer's saga getting a 36" wide by 42" tall Rumford built correctly. The fireplace doesn't have to be tall to look tall. 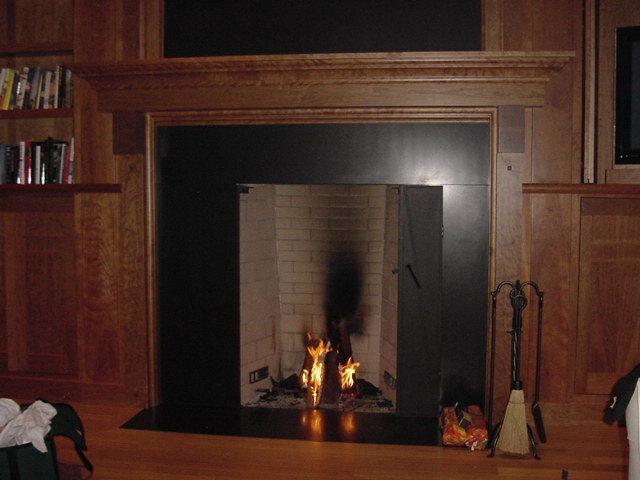 The first tall fireplace we designed was a small 30" wide Rumford that the client wanted to be 48" tall like a MacIntosh-inspired coal-burning fireplace they had seen. 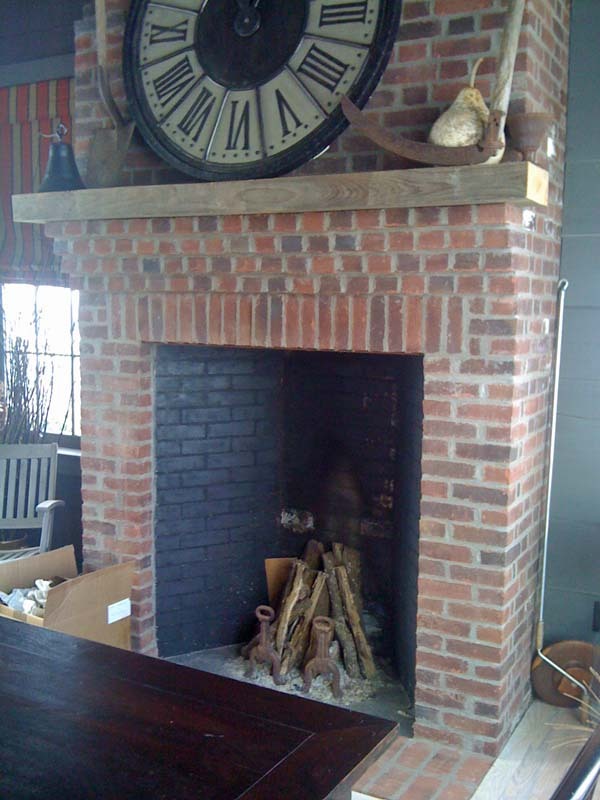 We pulled it off by building it as a narrow 48" Rumford but our first idea was to fake it by building a 30" by 30" Rumford with an inner hearth raised 18", recessed about an inch, painted black and fitted with a grille to make it looks like a coal grate in a 48" tall fireplace. 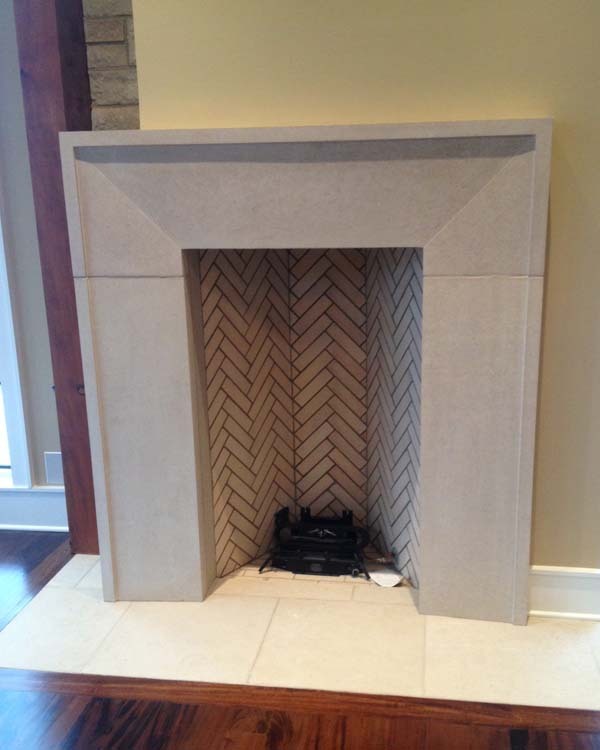 We have seen other fireplaces that were made to look tall. See an example and another. We are in the process of building-designing a Rumford. The owner would like the opening to be 48 wide by 60 high. I was planning on using the precast throat and smoke chamber and also the stainless damper. We were wondering if using two 12 inch round flues would be sufficient? I am worried that the height of the opening is to high. We are planning on using a clay chimney pot on top for design. One on each flue. The total height of the chimney is going to be about 30 ft. 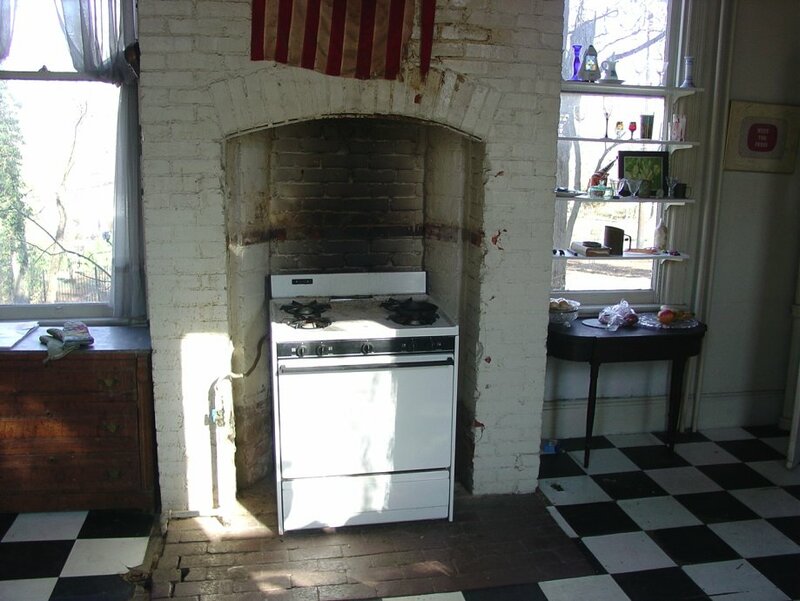 The owner would also like tumbled-old looking firebrick. We are going to lay them in a herringbone pattern. Please email me back so I can figure this out. What that means, of course, is that we size the throat and flue bigger as we would for the 60" Rumford. Build your fireplace according to the plan at www.rumford.com/R6054plan.gif - 20" deep, with the 42" Vestal damper and 20"x20" flue, only build the firebox 48" wide instead of 60" wide. As you can guess I don't think your idea of using two 12" round flues will work. Two flues are never as good as one flue the right size. See http://www.rumford.com/tech5.html You need more like the 300 square inches of flue area provided by the 20"x20" flues rather than the 200 square inches and all the unnecessary surface area and turbulence you would get with two round 12" flues.